LORAN-Magnetic Board. Designed especially for cross stitch and embroidery charts, leaflets, books and other printed material. 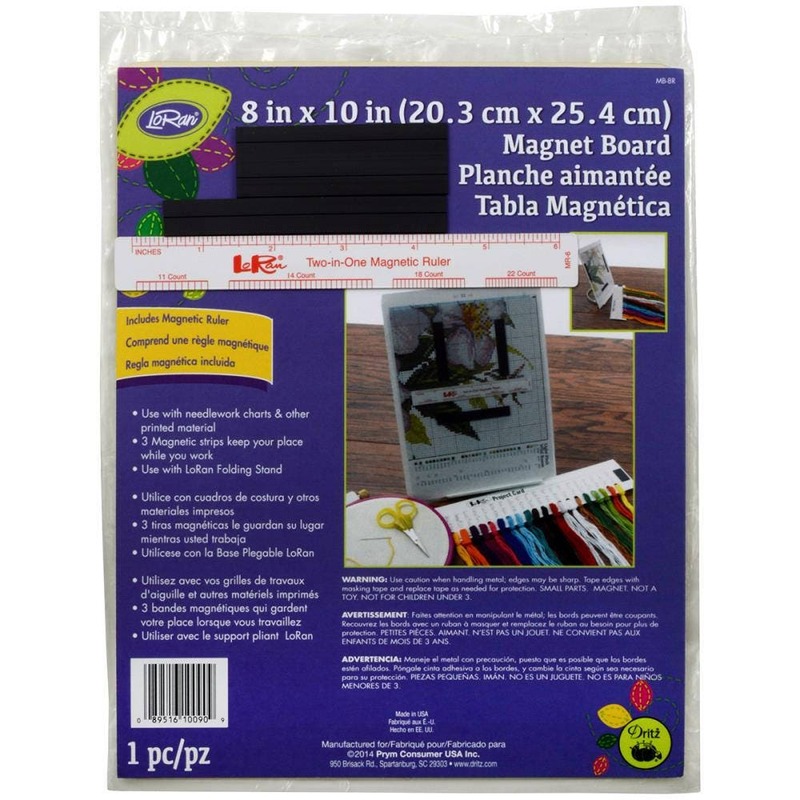 This package contains three LoRan magnet strips, a 6in magnetic ruler and a 10x8in board. Made in USA. Magnet boards offer portability, versatility and extreme usability. The boards provide a home for your chart while you're working on your project. Great service and well packed. Shipped fast and just what I was looking for.